We link passion and expertise, past and present, ordinary and extraordinary. Mexican Jewelry Company dedicated to the perfection of the art of designing and creating fine jewelry. 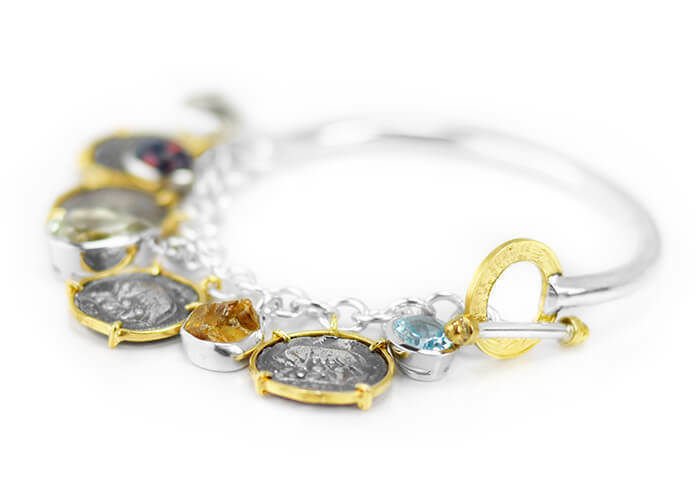 Our Goal is to be recognized as a Mexican fine jewelry brand known for our distinctive association of coins and gems. To position Eduardo Sanchez Jewelry as a high quality Mexican brand. Eduardo started working with coins when he was just an art student in Italy. The beauty and the history behind them have always been intriguing to him. Eduardo travels a lot and is on a constant quest for new coins to catch his eye. The challenge is always to design elegant and wearable pieces that can display both the secret meaning of the coin and the personality of the person who will be wearing the jewelry. He loves turning such a traditional common object that we use everyday, a coin, into a jewelry piece that will surprise and get everyone’s attention. Most of his pieces are unique designs in order to showcase the singular beauty of the link he creates between the past and the present. Small Mexican Jewelry Company dedicated to the perfection of the art of designing and creating fine jewelry.